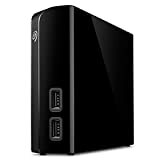 Buying an external hard drive is a wise choice in many cases, especially for making a backup of data. For example, by focusing on a laptop with integrated SSD, we risk being left without space for personal data (documents, music, video) given the reduced capacity of solid-state drives. 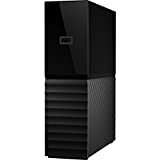 The capacity problem can also arise on a desktop PC, particularly if the integrated hard drive is not adequate for the amount of data we store every day. These and other scenarios is good thing to point immediately on a good external hard drive so you can save all documents, photos, music and anything else in an outdoor space. Let’s see together all the features that must have an external hard drive to be taken into consideration, with the inevitable guide to the final purchase in which we will see closely the external hard drives better than the moment. The first differences can be found based on the format of external hard drive chosen. A 3.5-inch external hard disk can be used next to a fixed PC, given their poor handling. On the other hand, it is possible to obtain better skills and speed, given the use of desktop disks adapted for use as an external hard drive. 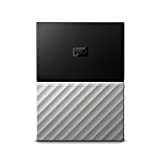 Instead, choosing a 2.5-inch external hard drive we can count on compact solutions, easily connected to a notebook, a TV, a TV Box or any device with a USB port and able to read hard disks. The capacity and speed are lower than the 3.5-inch hard drives, but a lot also depends on the type of connectivity used (as we will see in the next chapter). Almost all models now have a USB 3.0 connection, capable of providing sufficient power supply for the operation of the hard disk. On old disks, it was not uncommon to see the Y-cable with two USB 2.0 sockets for a single disk: one dedicated to power supply, the other to data exchange. These sockets have now fallen into disuse. The two versions of USB can be easily recognized by the color of the ports and sockets: blue for USB 3.0 sockets and white (rarely black) for USB 2.0 sockets. USB 3.1 is often associated with the Type-C form factor, but it is not a fixed rule. The form factor of the USB connection for an external hard drive is traditionally the Type-A, the classic USB socket that everyone knows, as seen in the image below. Lately the Type-C form factor begins to spread, as well as being smaller and thinner. It has a double insertion direction (it can be inserted into a Type-C socket without fear of making a mistake towards insertion, a common error with the Type-A). Below an example of a Type-C socket. The Type-C is not automatically synonymous with maximum transmission speed: there are USB 3.0 Type-C sockets, USB 2.0 Type-C sockets and USB 3.1 Type-C sockets; better to check in advance the speed of the chosen USB port and the cable supplied. Discs with Thunderbolt can only be connected to PC that have Thunderbolt ports, which can have two form factors. For Thunderbolt 1 and 2, the form factor is identical to the Mini DisplayPort, as shown below. For Thunderbolt 3, the form factor is identical to the, as shown below. We can recognize the presence of Thunderbolt doors or sockets from the lightning-shaped symbol imprinted near the sockets and doors. Among the external hard drives, the most widespread technology is surely that of hard drives (or HDD), which guarantee good durability, good speed and security in data storage. But among the external hard drives, we can also find compact SSDs with USB sockets. 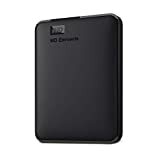 Having seen some of the features that an external hard drive can have, we see together the top 10 of the most sold external hard drives currently on Amazon. The ranking is constantly updated automatically, every day. 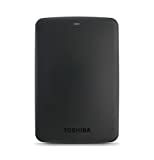 1 Toshiba HDTB410XK3AA Canvio Basics 1TB Portable External Hard Drive USB 3.0, Black 5,292 Reviews $51.99 See Offers! 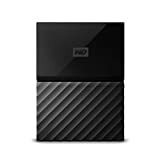 2 WD 2TB Elements Portable External Hard Drive - USB 3.0 - WDBU6Y0020BBK-WESN 3,072 Reviews $64.99 from $51.99 See Offers! 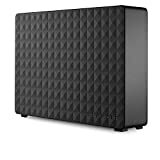 3 Seagate Expansion 8TB Desktop External Hard Drive USB 3.0 (STEB8000100) 7,770 Reviews $149.99 See Offers! 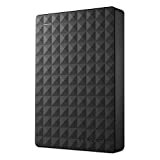 4 WD 4TB Black My Passport Portable External Hard Drive - USB 3.0 - WDBYFT0040BBK-WESN 1,915 Reviews $159.99 from $47.99 See Offers! 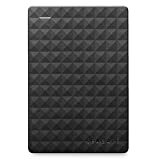 5 Seagate Portable 1TB External Hard Drive USB 3.0 (STGX1000400) 634 Reviews from $64.99 See Offers! 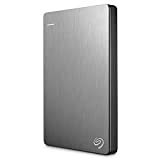 6 Seagate Backup Plus Slim 2TB Portable Hard Drive External USB 3.0, Silver + 2mo Adobe CC Photography... 18,045 Reviews $64.99 See Offers! 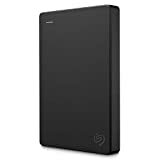 7 Seagate Expansion 4TB Portable External Hard Drive USB 3.0 (STEA4000400) 10,810 Reviews $119.99 from $44.99 See Offers! 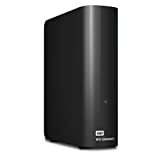 8 WD 8TB Elements Desktop Hard Drive - USB 3.0 - WDBWLG0080HBK-NESN 910 Reviews $179.99 $149.99 See Offers! 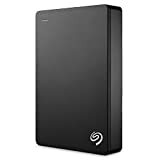 9 Toshiba Canvio Advance 2TB Portable External Hard Drive USB 3.0, Blue (HDTC920XL3AA) 3,855 Reviews $69.99 from $48.99 See Offers! 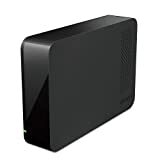 10 WD My Book Desktop External Hard Drive 1,692 Reviews $299.99 from $89.99 See Offers! Below is our selection of external hard drives, those that we deem worthy of attention and that could interest you the most.